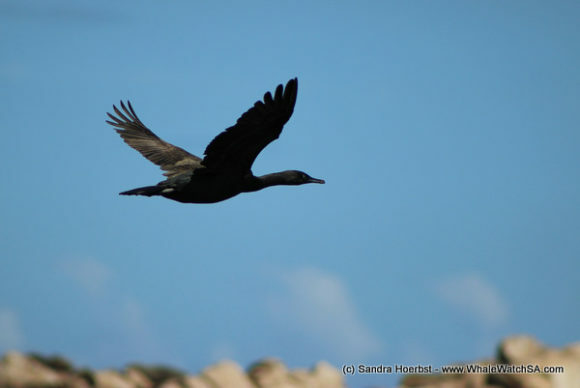 Today started with a light wind from north-west and overcast but the sun came through quickly and we had a blue sky. 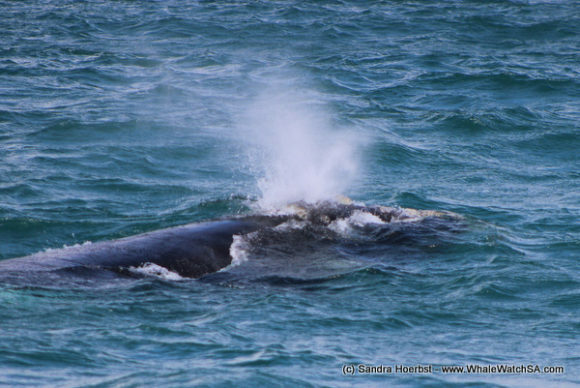 On our first trip we headed in the towards Danger Point and soon we spotted a spout a bit further off. 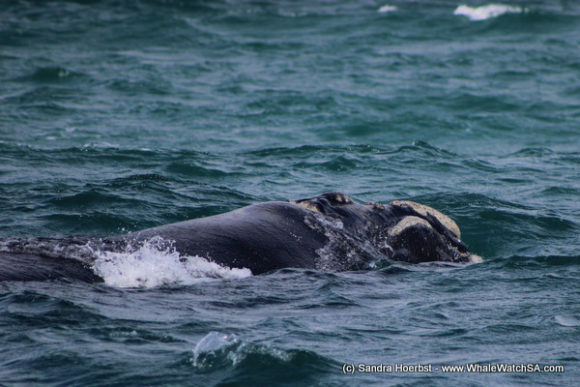 As we came closer a Humpback whale surprised us with a breach. 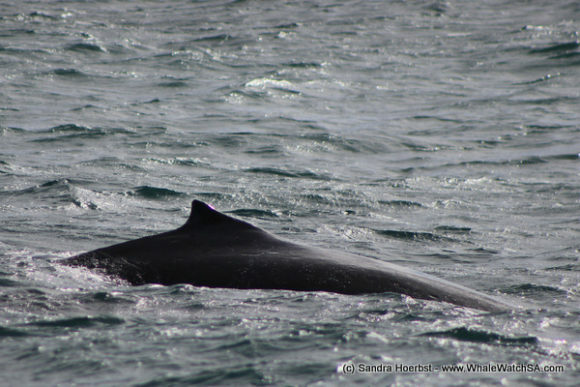 After a few minutes later another Humpback whale came closer and both were curiously investigating our vessel. 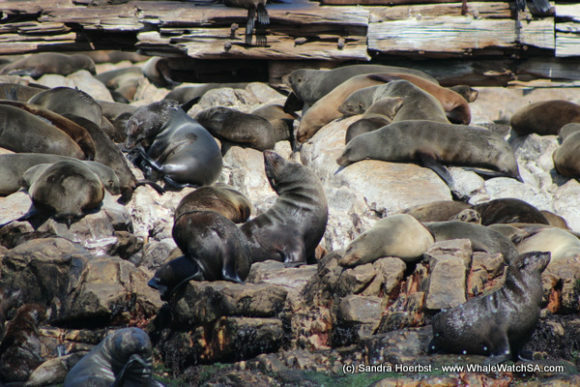 We continued to Geyser Rock for the Cape Fur seals and Pearly Beach to find some Southern Right whales. 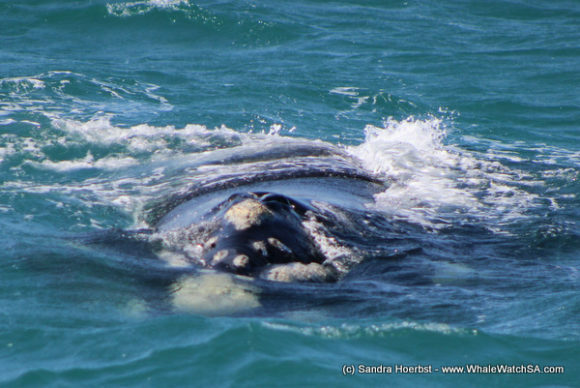 We managed to see a Great White shark and sunfish before we found two Southern Rights traveling alongside a reef. 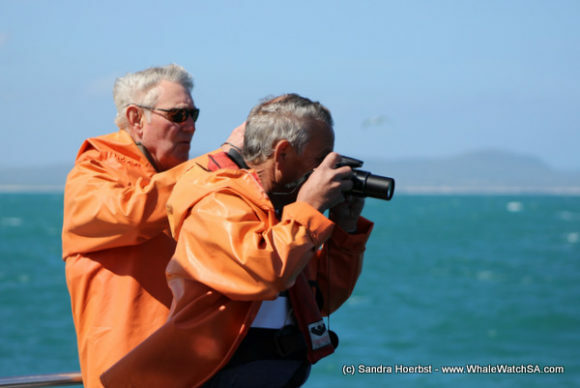 On the second trip for the day we found two relaxed Southern Right individuals, just outside Kleinbaai harbour. 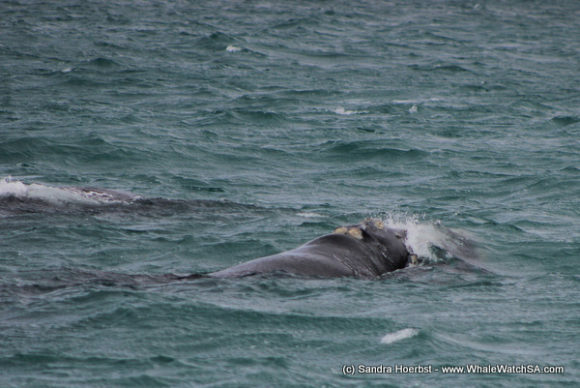 These whales were great to watch as they were slowly traveling along the coast towards Danger Point. 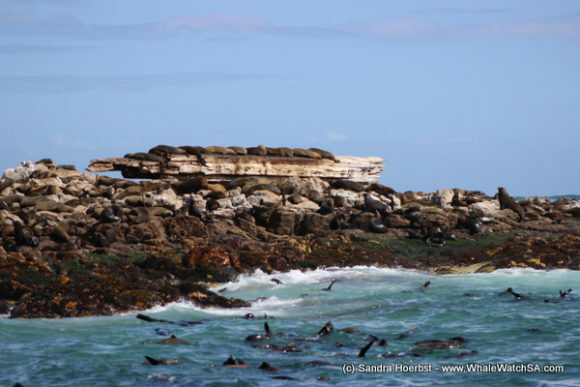 After spending time with the whales we continued to Dyer Island, but made a stop along the way to see three African penguins. 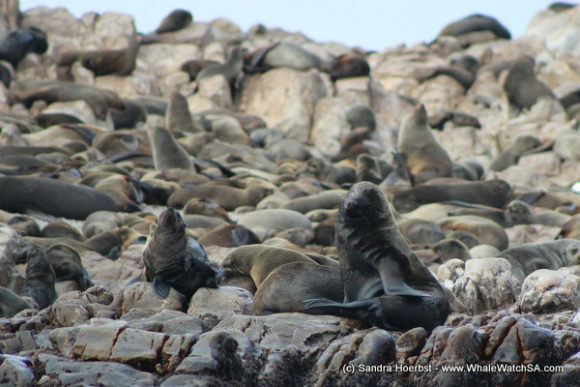 Our skipper took the vessel into the world famous Shark Alley to see the Cape Fur seals close up. 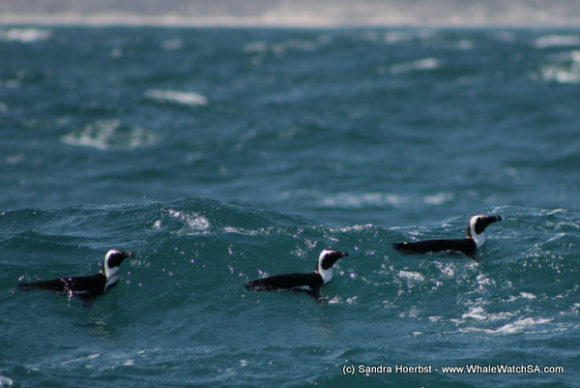 Just as we picked up some speed to get to the shark cage diving vessels we stopped again as we spotted some more Southern rights approaching our vessel really nice and close. Once we got to the cage diving boats our crew and guest on board were treated to two different shark species, a White shark and a Bronze whaler shark. What a great day to be out at sea.